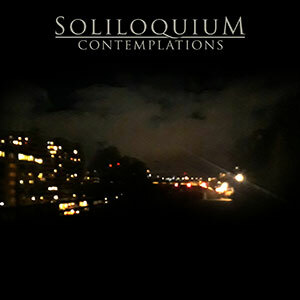 “Contemplations” is the second full-length album from Swedish doom metal band Soliloquium. It will be released on U.S. label Transcending Records on June 1st, 2018. 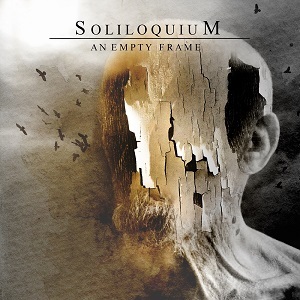 You can download or stream all Soliloquium music for free from the Soliloquium Bandcamp page. “Contemplations” is just what the album cover suggests: a sleepless walk in Stockholm inner city darkness. It’s the sum of endless, distracting thoughts and a growing sense of alienation. An agonizing hunger for more, combined with growing knowledge of life’s constraints and limitations. I’m a stranger to the concepts of this world and it’s never been so clear. Musically, classic Soliloquium style death/doom metal pieces like “Chains”, “Unfulfilling Prophecy” and “Wanderlust” are combined with left turns into shoegaze, post metal and psychadelic. Drift away into unconcealed nostalgia in “22” or join me in a hazy, inebriated night in “Streetlights”. It was my desire to write something more specific and personal, beyond the typical scope of sometimes abstract death/doom sorrow. The result is an inward-gazing album that won’t be inviting. “Contemplations” is not an easy album, but I hope it will be a rewarding one.